Prospect Having launched itself in the month of October, in 1995 by the then senior correspondent of the well known Financial Times, the Prospect magazine has turned out to be a great success as a magazine concerned with current affairs. Having launched itself in the month of October, in 1995 by the then senior correspondent of the well known Financial Times, the Prospect magazine has turned out to be a great success as a magazine concerned with current affairs. The main idea behind creating this magazine was to publish a magazine that was based on essays concerning general interest. This exclusive essay-based magazine is found to publish its new issue once in every month. 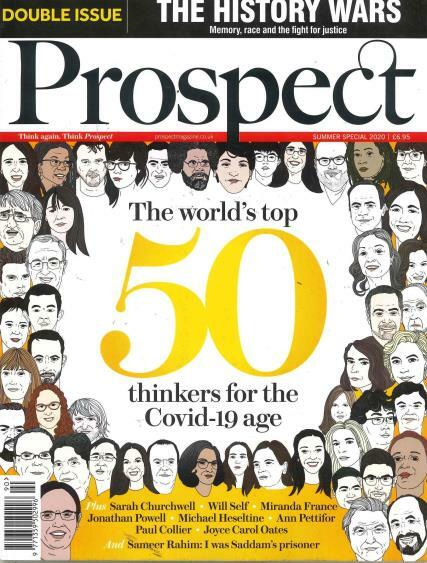 The Prospect magazine specializes in economics, current affairs and politics field. All major current affair topics are covered under the issues of it. The topics that are mostly printed include social issues, US politics, literature, art, science and even cinema. It features some lengthy and analytical articles on these topics. So, you can expect to get an insight into almost everything serious that is happening under the sun. Besides having a series of lengthy articles, there are one-page columns and quicker, shorter items too, which constitute to form the contents of the magazine, wholly. Noticeably, the special features constitute the head to head debates that are set up between two or more writers, where their views are subtly opposite and then the topic is explored properly in that way through each pointing out the mistake in another and counterfeiting with another argument. Thus, the reader gets to know a lot about the intricacies attached to that topic. Additionally, there is roundtable discussions included, that elaborates varying views about a given topic that is taken up for discussion, whose edited transcript is eventually published in the magazine. An account of interviews with major political faces is a sure hit and the readers, who are inclined a bit towards politics, do love it. The magazine has won loads of notifying prizes owing to the classic content that it features every month and can definitely be considered as one of the best magazine for politics and current affairs.